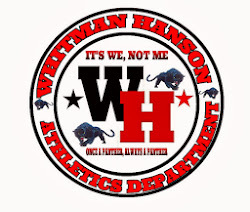 The Whitman Hanson girls soccer team claimed their 8th straight league title with a 2-0 win over Hingham. Whitman Hanson opened the scoring 20min in to the first half when Casey Corr ran on to a free kick from Nicole Galewski and placed it behind the Hingham keeper. Both teams battled for the remainder of the half with both defenses limiting the offense to very few opportunities. Marina Kelly increased the lead when she placed a shot from 20yds out in to the left corner of the net. The Whitman Hanson defense of Alyssa Eaton, Nicole Galewski, Hayley Bukow, and Nina Zappi were outstanding in front of goalkeeper Lauren Clark (6 saves) who earned her 11th shutout of the season.